WoW! 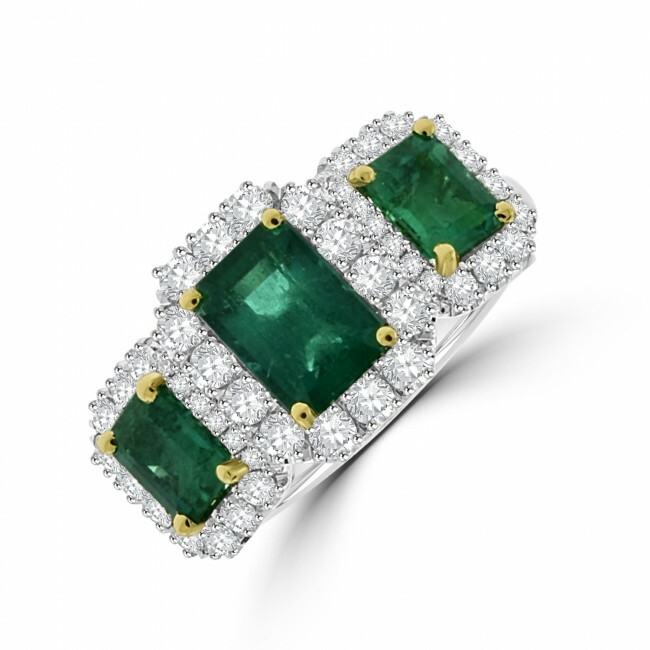 Three specially sourced, Emerald cut Emeralds contrast vivide green tones with surrounding white brilliance! The brilliant cut diamonds are castle set in halos with seas of blue in centre focus. Majestic yellow gold corner each emerald and compliment their warmer colour tones. The Platinum mount is underwired, allowing for a perfect wedding fit.